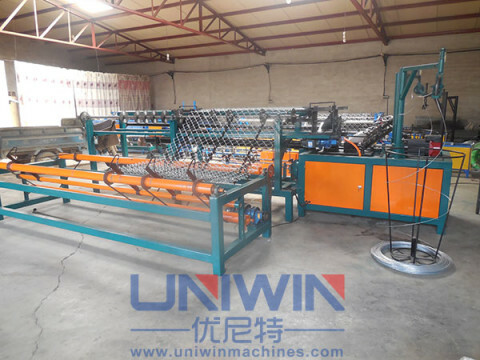 China Nail Making Machine And Chain Link Making Machine -Uniwin brand – Your one step solution for nail and chain link making business! YOUR ONE STOP SOLUTION FOR NAIL MAKING BUSINESS! 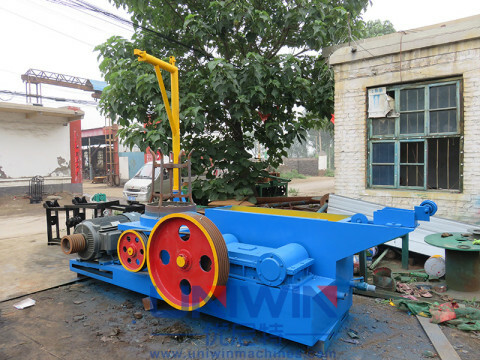 We offer turn-key project design ! 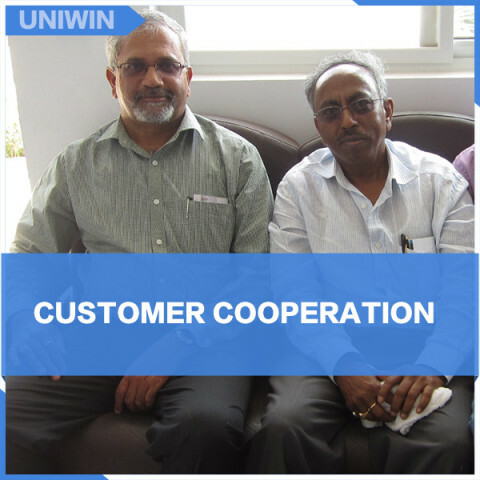 We look forward to long term cooperation ! 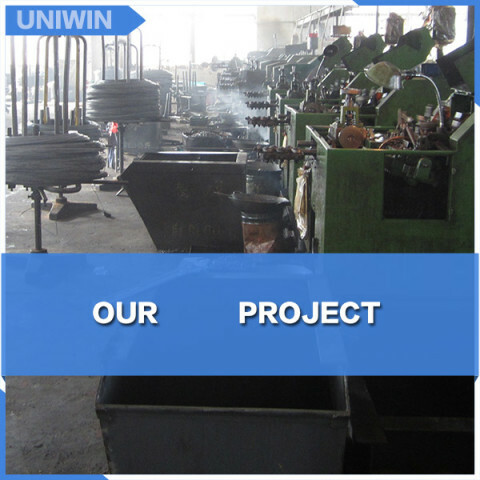 Uniwin has helped me to establish my nail making factory with big success ,they have supplied me the very good quality nail making machines and its accessories,i look forward more coperation with Uniwin in future. 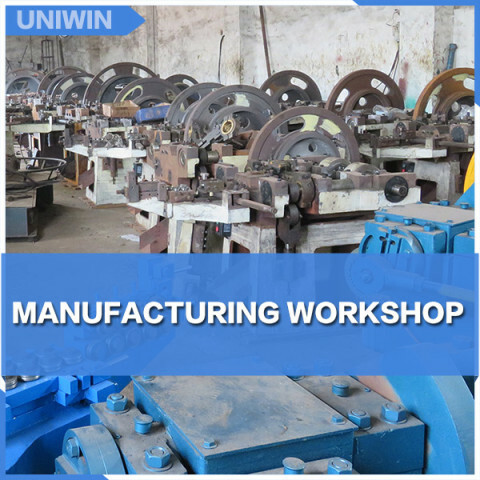 It's a nice deal with Uniwin on the nail making machines, they have trained me how to operate the nails making machines and now i can make different size nails according to customer's needs . 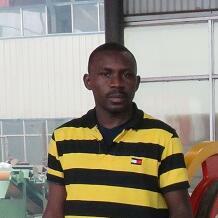 Your one stop solution for nail making business, roofing sheet making and chain link fence making business. 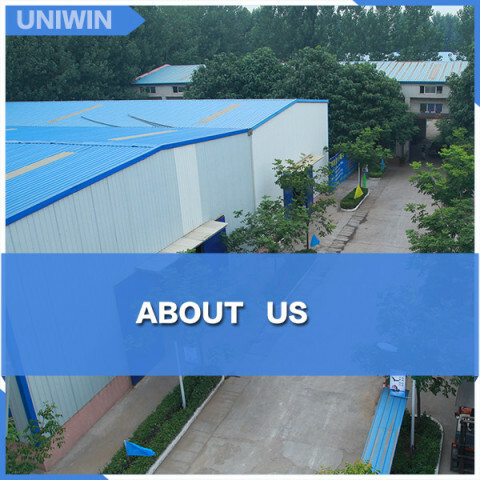 26 years experience will makes us your reliable partner in China . 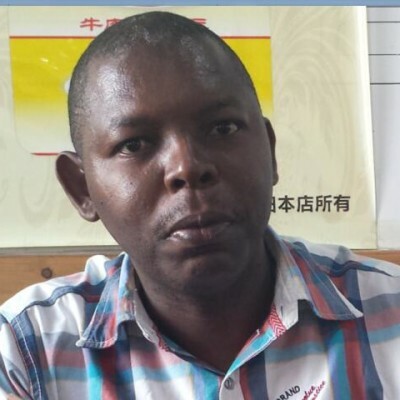 our projects in Kenya ,Tanzania ,South Africa,Ghana,Bangladesh ,many turn outs a great success. 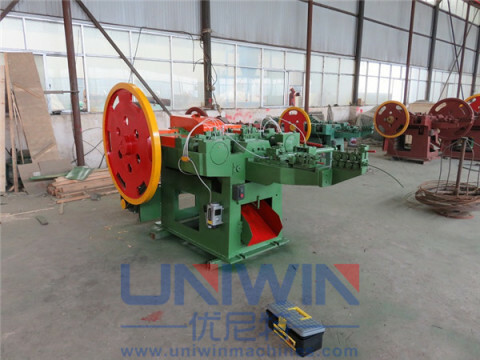 thread rolling machine for coil nails Thread Rolling Machine It is used for thread the nails into different screw type before feeding into the coil nail collator to be welded into coils. 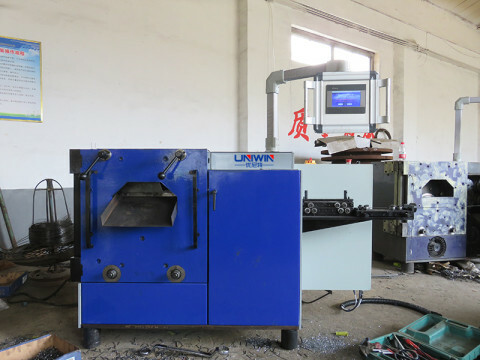 such as ring type or screw typ ..
advantages of coil nail making machine This coil nail making machine is automatic welding equipment to weld the nail into roll, then put the coil nails into nail gun and use for export wooden crates, wooden pallets, cra .. 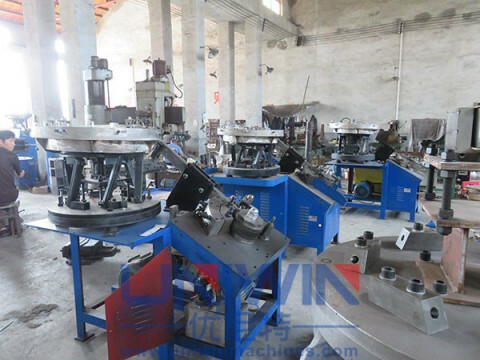 Spare parts in nail production line Spare parts in nail production line For the wire nails, everyone is familiar. We can see it whenever and wherever. 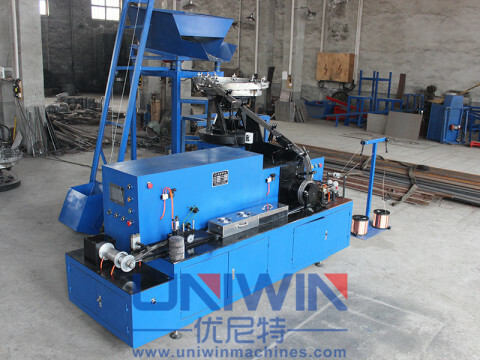 But do you know how to produce the wire nails? 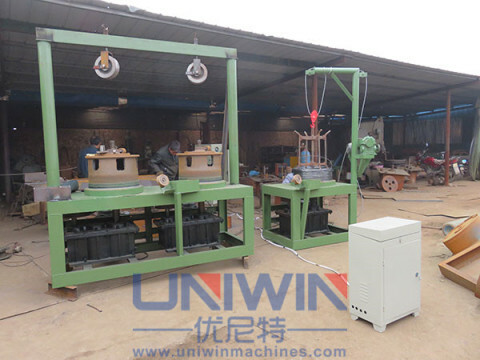 And how many spare ..
wire drawing machine for nail making factory Uniwin Brand wire drawing machine, very strong ! 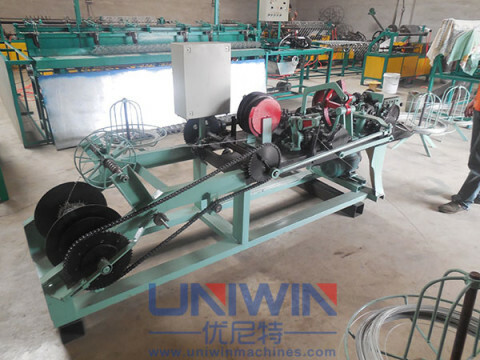 The advantages of the Uniwin brand wire drawing machines: 1, Drums with tungsten spray which enables the drums can last more than ..